AAARRGGH! The planet is in peril. Someone needs to sort it out. Um – someone like YOU, that is. But don’t worry. In your Horrible Geography Earth-Saving Handbook, you’ll find out how to stomp on your carbon footprint. You’ll discover rubbish ways to watch your waste… and learn how to run a car on dead flies. 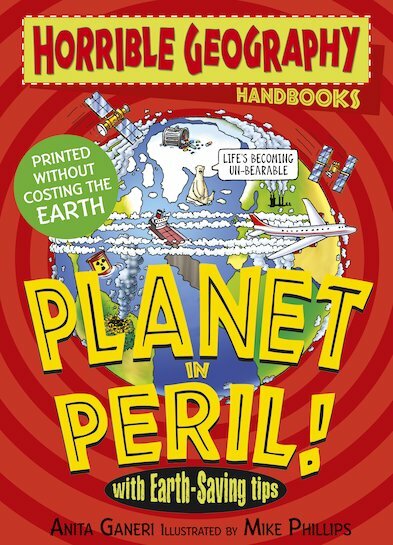 Armed with earth-saving tips and lots of foul facts, YOU can go green and save the planet!